Designing and building a warehouse, 7,500 M2 area professionally distributed and build with self supported warehouse technology method. Saudi Import Company, Banajah, are the partner of choice for the manufacturing and distribution of pharmaceuticals and medical equipment across MEA. ATC logistic Engineers studied several scenarios , prepared recommendation and worked closely with the client to select then build/install the right solutions to address all of the challenges and more. 7,500 M2 area professionally distributed and build with self supported warehouse technology method. 6000 Pallet positions + 30 % for future expansion. Mezzanine management office with visible view direct to warehouse to monitor the operation for staff. Dedicate area for receiving, checking & dispatch. Hi-tech MHE are selected (laser guided VNA truck). Strict international standards of storage and MHE solutions. 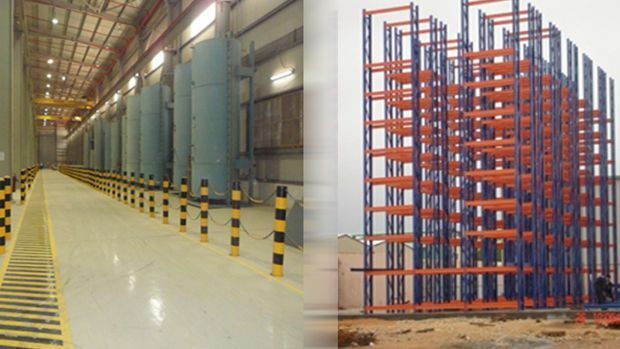 Full warehouse design and build including offices, facilities, security, firefighting. High value and dangerous / hazardous items to be handled differently. Integrated design considering future expansion. Controlling and monitoring the Jeddah water network to reduce leakage and enhance distribution to increase the efficiency of water supply to customers.